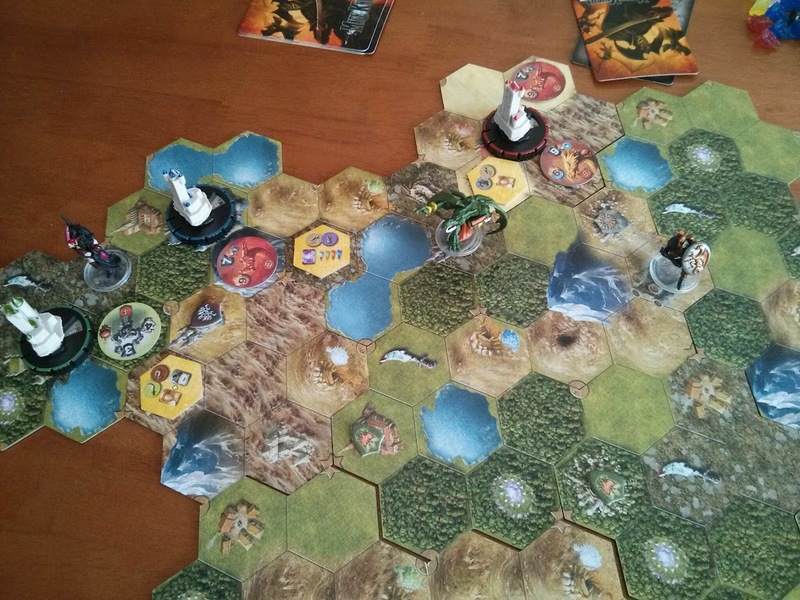 So I was able to get my girlfriend to play Mage Knight last night (and at the last second my roommate too.) If you haven’t played this game, you really should. I describe it as “DnD compressed satisfyingly into one evening.” It does take all evening, don’t get me wrong, but DnD campaigns take months or years and yet this gives you close to the same level of satisfaction. So for my group who, as I described previously has trouble regularly getting together, it works great for those few times we can get together. In a later blog post I will go into full details of the game, but a bit of searching on Google will reveal all if you are impatient. What I will say, though, is that this game – despite it’s complexity – works surprisingly well for new players or not-really-gamers. I attribute it to the exceedingly clever mechanics that make things inherently intuitive. You will still need someone who knows the rules well to clear up all the nitty gritty details, but honestly I explained the basic ideas in about 5 minutes to my roommate then just said “let’s start adventuring!” I was able to just explain things as they came up from there and, like I said, due to the intuitive nature it all just made sense. I spent some time setting up the play area exactly like the rules say to do so. Behold! 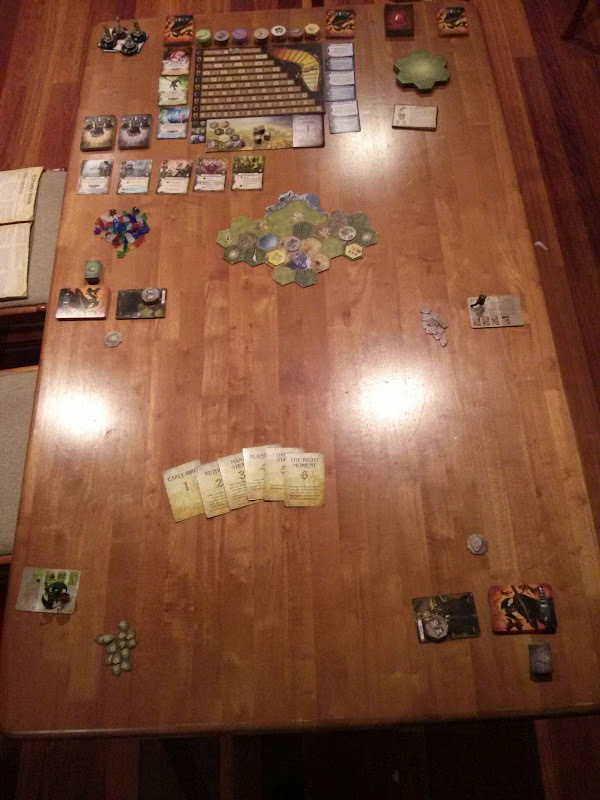 Not pictured is the third player who joined us just before the first turn. It’s such a pretty game.